Team a black cardigan with Paige Lennox Slim Fit Five Pocket Pants for a casually edgy and stylish ensemble. 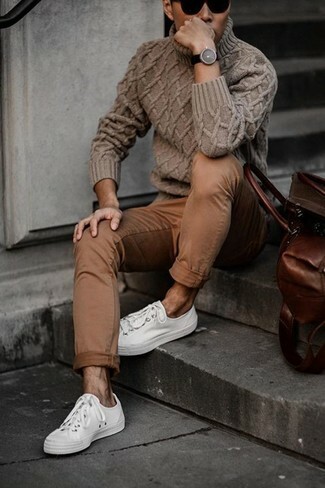 If you're searching for a casual yet sharp getup, marry a brown knit turtleneck with brown chinos. Both items are totally comfortable and will look great paired together. When it comes to footwear, this outfit pairs nicely with white low top sneakers. 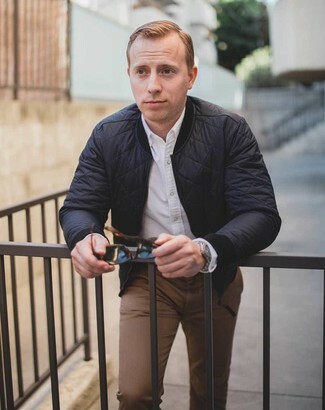 If you don't like spending too much time on your getups, choose a black quilted bomber jacket and Paige lennox slim fit five pocket pants. Contrary to what you might believe, being a dapper dude doesn't require that much effort. 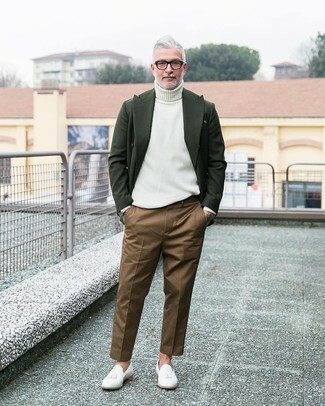 Just choose a dark green wool blazer and brown chinos and you'll look incredibly stylish. Bring instant interest and excitement to your outfit with white leather tassel loafers. If you're on the hunt for a casual yet on-trend ensemble, opt for a navy denim jacket and Paige lennox slim fit five pocket pants. Both items are totally comfortable and will look great paired together. 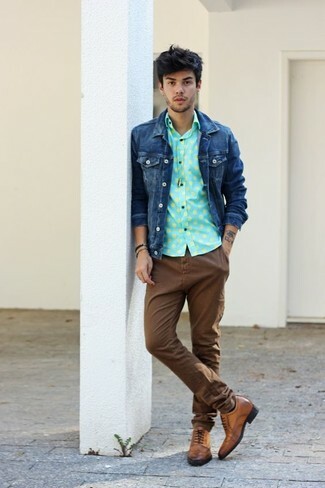 Amp up the cool of your getup by completing it with brown leather brogues. 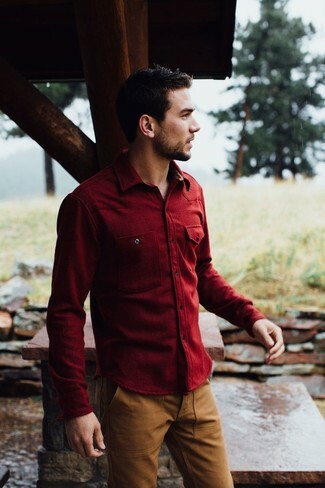 If you're after a casual yet on-trend look, choose a burgundy long sleeve shirt and brown chinos. Both pieces are totally comfortable and will look great together. 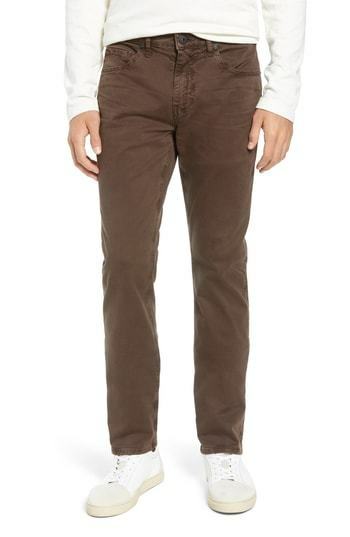 If you're on a mission for a casual yet seriously stylish outfit, team a grey print crew-neck t-shirt with Paige lennox slim fit five pocket pants from Nordstrom. Both items are totally comfortable and will look great together. Add a sportier feel to your look with dark brown leather sandals. If you're on the lookout for a casual yet on-trend outfit, team a dark green fair isle shawl cardigan with Paige lennox slim fit five pocket pants from Nordstrom. Both garments are totally comfortable and will look great paired together. For a casually elegant outfit, dress in a brown trenchcoat and Paige lennox slim fit five pocket pants — these pieces fit beautifully together. Complement this getup with black leather derby shoes.